Posted November 21, 2018 by Dr. Marian Fritzemeier, Ed.D. Posted October 17, 2018 by Dr. Marian Fritzemeier, Ed.D. Another tip to help reduce peer pressure is to create strong bonds with your children long before the adolescent years. With adolescence right around the corner, the school age years are a perfect time for strengthening the bonds you established in early childhood. Having a regular family night is one way to spend special time with your children. Let them take turns choosing a fast-food restaurant for dinner or take-out and then play games at home or watch a special movie. If you can’t afford to eat dinner out, make a special treat, like caramel popcorn or hot chocolate. Eating meals together is one of the best strategies for building relationships. The older children get, the more challenging this becomes. Make it a priority to eat a certain number of meals together each week. It doesn’t have to be dinner. It could be a combination of breakfast, lunch and/or dinner times. You may need to juggle schedules and meal times, but the benefits outweigh the challenges. Implementing this tip gets parents on track for helping their school age children reduce negative peer pressure. Posted October 12, 2018 by Dr. Marian Fritzemeier, Ed.D. When parents consider school-age peer pressure, perhaps they imagine the ways the child himself must resist the pressure. Although we’ll look at the child’s role in a later blog, there are parental roles that help reduce negative peer pressure for their school age children. A great principal for reducing negative peer pressure for school age children is to teach your children. When do you teach them? I think of it as “way of life” teaching. As you go through each day, as you walk through life, you are using every day opportunities and examples to teach your children about life and what is important. Basically, you are teaching your children when you’re at home, while you’re out and about, when they go to bed, and after they get up. If you take advantage of these various times, you’ll discover many opportunities for teaching your children. You can teach them as you drive them to and from activities or attending church, school, and community events together as a family while you’re participating in community service projects. As you share your time, talents, and resources with non-profit organizations that address social issues, you’re teaching your children about helping others, the value of community service, and giving. You are also teaching them by your example. Do your words encourage and build others up or for gossiping and criticism? Can your children repeat your language or do you use swear words and tell them only adults can use these words? How do you treat your friends, the pregnant teenager, the elderly, those who have less than you do, and the homeless woman on the street corner? Do you instruct them not to use drugs while you drink and smoke? Be mindful that little ones are watching your examples. Posted October 8, 2018 by Dr. Marian Fritzemeier, Ed.D. Posted September 28, 2018 by Dr. Marian Fritzemeier, Ed.D. Your kids started the school-year not that long ago. Yet your child is already complaining. 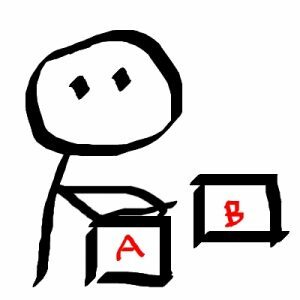 Is the problem your child or the teacher? Although children can create behavioral challenges, teachers can also instigate problems. Your child may complain that the teacher yells. A teacher who yells is out of control. The louder the students, the more the teacher yells and grows angry. This can create fear in some children, not to mention being poor teaching practice. My daughter complained about this one year, but when I helped in her classroom, the teacher raised her voice slightly in a stern voice. My daughter perceived that as yelling. However, typically when children report yelling, the teacher is out of control. Good teachers know that the noisier students get, the quieter the teacher’s voice gets. A “look” works better than a raised voice. 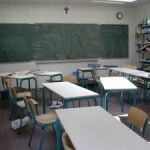 The teacher also gets closer to the disruptive students. For example, a group in the back is rowdy. 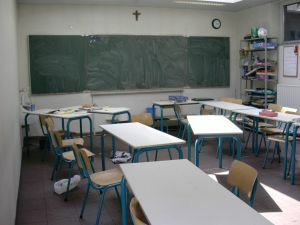 The teacher walks near the group and softly says, “I need this group to stop talking and listen.” Most of the remainder of the class doesn’t even hear and class goes on. If your child complains about how the teacher treats students, the teacher may be labeling or embarrassing children. Such actions as put-downs, belittling, sarcasm, labeling “stupid” or “slow,” or making fun of children are all completely unacceptable and demonstrate a lack of respect for children. Teachers have different teaching styles that your child may need to adjust to; however, being treated disrespectfully is one of the most common ways the teacher is the problem. Maybe the teacher refuses to model the lesson more than once. If you sense there is a problem, don’t go to the principal or the school board. Speak directly to the teacher. If it is still unresolved, you can then ask to speak to the teacher’s supervisor. Remember, you always want to get both sides of the story. By listening to both your child and the teacher, you can obtain accurate information. Then you’re prepared to make the best decisions for your child. Posted September 25, 2018 by Dr. Marian Fritzemeier, Ed.D. Posted September 20, 2018 by Dr. Marian Fritzemeier, Ed.D. By Andrea Williams with quotes from Dr. Marian Fritzemeier, Ed.D. Expert insight into the power of childhood friendships, for better or worse, and how to nurture friend-making skills. Some of us can still fondly remember long summer days and recess hours spent with our closest pals, making mud pies, catching ladybugs and generally having lots of fun. As it turns out, the effects of those adolescent friendships last well into adulthood. Teach kids how to be good friends. Encourage kids to seek out children who need friends. Though cell phones have replaced land lines, and kids may actually spend more time communicating with each other via social media than face-to-face, little else has changed in the world of childhood friendships. On any playground across the country, you’re likely to find a group or clique, of popular, outgoing kids along with a smattering of quiet, more introverted kids who hang solo. Yager suggests parents arrange playdates for their kids (even through the elementary years) and enroll preschool-aged children in classes like Mommy and Me or Gymboree to help foster new friendships. Additionally, adds Fritzemeier, bringing a toy or pet can serve as an icebreaker and help draw other kids to your child. Also, when choosing other children to arrange playdates with, it’s important to try to find kids whose temperaments match that of your child, so she is not overwhelmed by an outgoing or boisterous personality. Ultimately, though, if you’ve taken the time to show your child how to be a good friend and helped her to develop solid friendships while she’s young, you shouldn’t have much to worry about. Posted September 17, 2018 by Dr. Marian Fritzemeier, Ed.D. How would you describe bullying? Has your child been bullied? Have you? When I taught a workshop at the California Association for the Education of Young Children (CAEYC) in Pasadena for adults working with children in the primary grades. Over 50 educators actively participated in my workshop: Bullying 101: Helping the Bully, the Bullied, and the Bystander: How Educators Can Help Break the Cycle of Violence. The two months I spent preparing for this workshop were emotionally challenging. It was difficult to read books, research, and view videos about what’s happening on elementary campuses. As I read about bullying definitions, I often thought of the squabbles I observe weekly between five-year olds. When a peer doesn’t do what their friend wants, I hear, “You’re not going to be my friend anymore,” or, “You’re not invited to my birthday party.” If they are really upset, they might say both sentences together. So is this bullying? Bullying Definition. Although there are numerous bullying definitions, I chose this one because it contains multiple aspects. 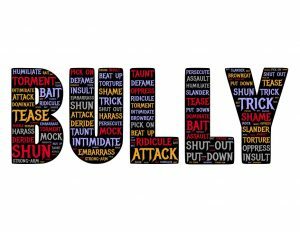 Three criteria distinguish bullying from other misbehaviors or isolated cases of aggression. 1. “It is aggressive behavior or intentional harm doing. 2. It is carried out repeatedly and over time. Are the squabbling five-year olds bullying? Their behavior is not always aggressive but they are saying these things to express frustration. Most likely, it is the meanest thing they know so say. The words are intentional, although very short lived. Later, they are once again friends and get re-invited to the party. Finally, is there an imbalance in power? An imbalance of power could be by size, age, or abilities. Although the children are all different, I don’t observe an imbalance of power. In this situation, I’d say that the children are not bullying, but learning how to express themselves; however, they need more adult guidance. What do you think? Are the children being bullied? Posted September 14, 2018 by Dr. Marian Fritzemeier, Ed.D. My three-year-old grandson, Parker, gravitates towards playthings with push buttons while we stroll down the toy aisle. He hopes the buttons will make sounds and “talk” to him. As a child development specialist, I’m not too thrilled with his fascination because these toys don’t leave much to the imagination. “Grams, this one doesn’t make any noise,” he comments rather confused. “You’re right Parker, it doesn’t. You have to use your imagination. You can pretend and make the stuffed dog say anything you want.” I’ve given an interesting concept to a child living in a computer-generated world where imagination is virtually untapped. Benefits. Pretend play helps children gain developmental benefits including creativity, imagination, self-confidence, mastering new concepts, and communication skills. So how can parents encourage pretend and imaginative play in a technological world? 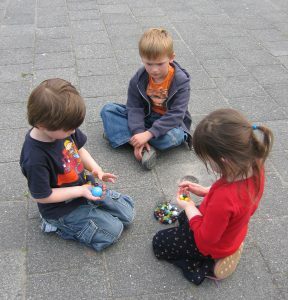 Provide open-ended toys and materials, dramatic play items, games, and interactions that facilitate children’s play. Open-Ended Toys. Choose “open-ended” toys and materials. This means toys that offer different ways children can play with them. Examples of open-ended play items are blocks, cardboard boxes, wooden train sets, dress-up clothes, play dough, and art materials. Items children can build and create anything they dream of are ideal for imagination, such as: Duplos, Legos, Lincoln Logs, Mega Blocks, and magnetic blocks. One day a child builds a zoo while another time he/she constructs a ferry. Dramatic Play. Another way parents can enhance children’s imaginations is through dramatic play. Building forts, houses, hospitals, and stores using common household items provides infinite creativity and pretending. Sheets, blankets, pillows, cardboard boxes, large appliance boxes, stools, chairs, and boards are great materials. Children can also imitate real-life events to advance pretend play. For example, if the dog goes to the vet, children can invent a pet hospital at home. Set up a dentist’s office, doctor’s office, grocery store, classroom, hair salon, pet store, or auto shop. The possibilities are endless. Dress-up Clothes. Children also enjoy dress up clothes in adult sizes that you can discover at used clothing stores, such as Goodwill. Choose items that represent both genders as well as clothes from different cultures. You’ll enjoy watching your children try “adult” roles as they express themselves in pretend play. Benefits. Finally, talking to children while they play not only promotes children’s vocabulary, communication skills, and storytelling, but helps children’s imaginations. Suggestions like, “What else can you build?” or “How can you make your store higher?” stretches children’s problem solving abilities and the beginnings of abstract thinking. Puppets are another great way to facilitate pretend play and vocabulary. A chair with a towel over it becomes a puppet stage. Encouraging your children to use their imaginations by providing a wide variety of play items and interactions will build skills that will last a lifetime. Posted September 13, 2018 by Dr. Marian Fritzemeier, Ed.D. Do you ever feel inadequate? Some days everything seems difficult. Simple things like opening a sealed bag or putting on my necklace are challenging because my coordination is poor. Other times I can’t find the right word or can’t even express a sentence when my brain is off. Yes, me, Chatty Cathy. I read a book that has many thought provoking statements. Hatch! Brainstorming Secrets of a Theme Park Designer by C. Mc Nair Wilson. He did in fact work for Disney as an Imagineer. What a great description of childhood. It is one reason I love being around them. After I was unable to work at Merced College, I missed watching children every day as they came and went from the Child Development Center. So I began volunteering in my grandson Parker’s preschool class six years ago. What a delight to be with him and his friends. They are constantly trying something new. On Saturday my husband participated as an athlete in the Modesto Highland Games. One event is the caber. My daughter calls it, “Man in skirt with telephone pole.” Six to twelve year olds could sign up to learn. Parker is not quite six, so they let him “practice” two times after the older kids were done. He’d never turned a caber before. He may have seen it on a video. His Papa hadn’t yet done that event. But he wanted to try. And try he did. He was able to turn it on the first toss. He was so proud of himself. I was proud of him too. Not so much that he turned it, but because he was willing to try even in front of a large group. If they offered adults to try and turn the caber, I’m guessing there would be few volunteers. Why? McNair summaries the answer best, “…we do not live our dreams because we’re too busy living out our fears.” (p. 66) Parker was not even remotely afraid. He didn’t wonder what others would think. He didn’t hold back in case he couldn’t do it. He didn’t doubt himself. He just went for it. 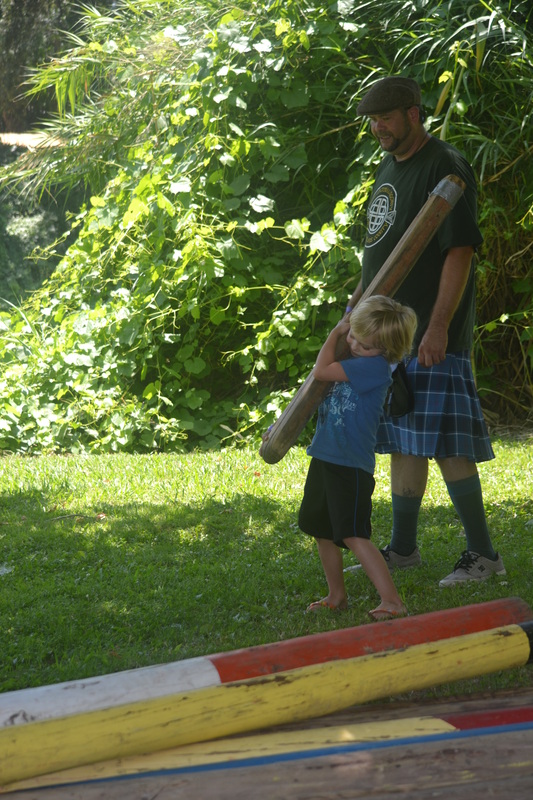 What’s the “caber” in your life you’d like to try? Maybe you can try it today.